All you fans of The Savage Young Beatles will be pleased to know that the Best Of The Beatles DVD has finally been released. 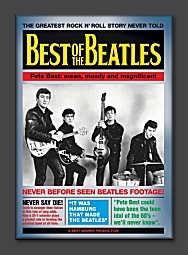 This release promises to be a must-have for any fan of The Beatles with Pete Best. I would say this is the best documentary of the 'savage young Beatles' era that I've seen. That's not to say it's great but it's very interesting. Regrettably, no actual Beatles music is featured. Some of the music is from the "Backbeat" soundtrack but much is rather generic. Bits of the Tony Sheridan recordings are included, too. It's not as exciting or fast paced as say Anthology but, based on my research, it's very detailed and accurate. Additional commentary includes Billy Harry, Alan Williams, Ken Brown, Klause Voormann, Cynthia Lennon, Neil Aspinall, Jurgen Vollmer, Gerry Marsden, Pauline Sutcliffe, Mike Smith (the Decca guy), Horst Fascher, Ray McFall, Rory Best, Tony Sheridan, Chas Newby, Andy White, Ken Townshend, Norman Smith among many others but my favorite is extensive commentary from Astrid Kirchherr. The bonus material even features an extensive conversation between Pete and Astrid inside The Kaiserkeller. Pete's commentary is quite frank, friendly and interesting. You also get a nice dose of Pete's pre and post Beatles history, many film clips inside The Casbah and other very good location shots in Liverpool and Hamburg. You also get Pete's appearance on the old TV show, "What's My Line" in 1964. The highlight of the documentary is the inclusion of the February 1962 Floral Hall film. It's really too bad that Paul or Ringo didn't provide a bit of commentary. Of course, was Pete asked to appear in Anthology ? Sorry, but due to a big audio posting at TheBeatleSource acetate site, I have had to deactivate some of the audio files here at The Savage Young Beatles. 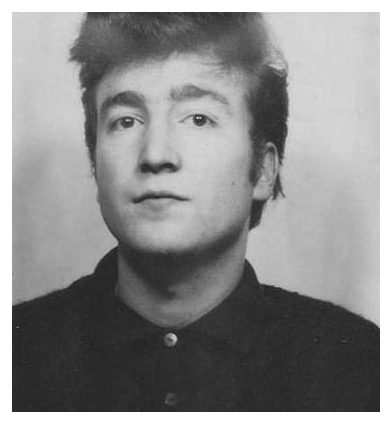 (Only the Tony Sheridan tracks) Never fear, once TheBeatleSource post is finished, I'll reactivate the files here. added a advertising poster to 12 February 1963 which raises a few questions - any info or opinions? Sorry, due to the new Get Back section in the main BeatleSource area, I've had to deactivate all of the audio files until later in September. Sorry about the lack of update recently. The summer time keeps me occupied. Now that summer is nearly over, updates will be back to regularity.